When you think of the animals which live among us in London, you are likely to conjure up pigeons, squirrels and foxes not the magnificent beasts of the jungle and arctic. A visit to Beasts of London at the Museum of London will change all that. Did you know that London has been home to lions since pre history, to zebras and even a polar bear? You’ll hear about these beasts and many more as you step into the new immersive exhibition at the Museum of London. Our tour begins back in pre-historic times with a short atmospheric film telling how the lands of Europe used to be joined and ancient beasts roamed freely across what are now seas. In the first of 9 episodes we experience, we can see a jaw bone of a woolly mammoth, which roamed around the lands that became London over 200,000 years ago, and a painting of mammoth hunting set the scene for us. From here we walk through a series of different rooms, each charting the role of beasts in London’s history from the Romans to modern times. Episode 3 takes us into a room which is the Tower of London where a very famous polar bear lived in the royal menagerie back in the 1250s. He would be taken out to swim in the Thames for exercise and to hunt for fish and this was a great sight for anyone nearby who were amazed by this magnificent beast. The exotic animals in the royal menagerie included lions, zebras and even tigers but luckily London Zoo became their home where the conditions were much more suitable. Episode 4 is all about the plague, the killer of 1665 which took about 100,000 lives in London. An apothecaries room is full of the potions people would take to ward off the dangers around them as the cause of the plague was unknown. We hear a spirited argument between the rats and the fleas to find out who was the killer and learn it was a bacterium who was the real baddie. If you are brave enough you can look at an embalmed rat! Moving on to episode 5 to escape rats but no, there are more rats! We meet Tiny the Wonder, a star rat-catcher dog who took part in rat-baiting where men would watch Tiny take on up to 200 rats in a pit and place bets on how many Tiny could kill in each session. Spooky use of film shows us rats swarming round Tiny surrounded by shouting gamblers – ghastly! One of the saddest rooms in number 6 when the circus comes to town and we learn of the horrible treatment of these animals and this photo of dressed up elephant shows his sadness. We learn about one famous elephant, Jumbo himself, who was living at London zoo but became too unpredictable and so was sold to the circus where he became hugely popular and perhaps less predictable? Barnum’s circus was known as the Greatest Show on Earth and a programme proclaims its wonders. It’s time for horses to take centre stage in room 7, where a set of carousel ponies are just waiting for you to sit on, completely irresistible (!) and see the films on the walls from a horse’s point of view. In this room we hear all about the importance of horses to the life of London from horse racing, to police work and delivery and transport. You may think you recognise the voices overs as you walk around and yes you will. Pam Ferris is the Roman eagle, Brian Blessed is Bacterium, Kate Moss is the fox, Thomas the horse is Nish Kumar, Governatore the horse is Stephen Mangan and Angellica Bell is the rat. So listen out for them as you are in each room. Pigeons are episode 8 but not as we know them as a huge metal pigeon made out of the metal plates of a London taxi greets you at the far end of the exhibition rooms. It’s an amazing piece of work looming out of the dark and a reminder that Trafalgar Square used to be inundated with them, landing on you and flapping everywhere. Luckily feeding them was banned back in 2003 and hawks brought in to clear the square for visitors and locals. Our final beasts are those that live among us now, the urban foxes, the birds, the cats and even the fish in the rivers. 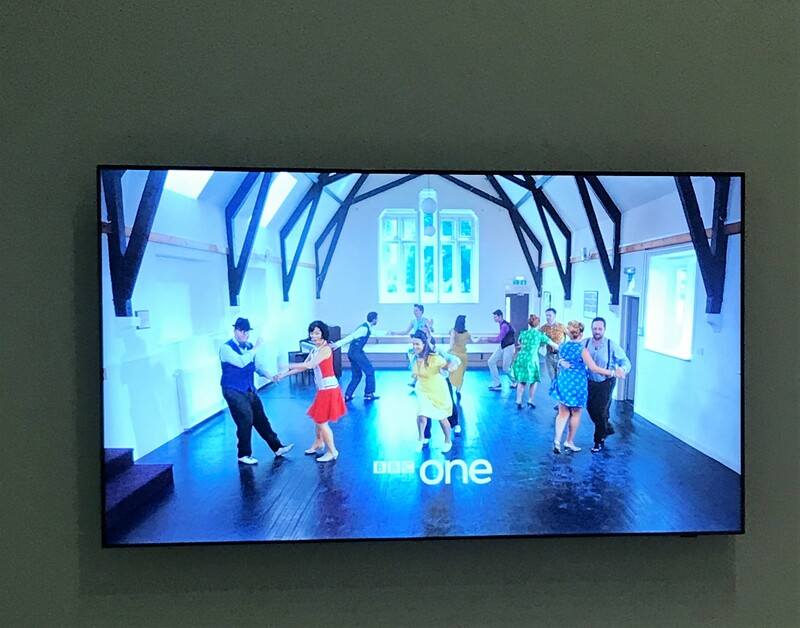 The whole experience is fun and informative with imaginative use of visuals and sound coming from a great partnership between the museum staff and the staff and talented students from the Guildhall Schools of Music and Drama who bring it all to life for us. Don’t miss my favourite beasts in the shop on the way out! Full disclosure: I was invited by the museum to visit this exhibition for the purposes of this review. This has not affected my opinions but I feel it is important to be transparent . IT’S YOUR LONDON’S WHAT’S ON FOR SPRING 2019. Here’s your spring 2019 what’s on, giving you a taster of the many exciting events coming up in London over the next 3 months. If you want to hear more about anything listed, or any other things you may have heard about, do send me an email (sue@itsyourlondon.co.uk) and I’ll get right back to you. I’m also on Twitter at @itsyourlondon and Instagram as @sueinlondon. April Over 40,000 runners in the 39th London Marathon will take over the streets and the nation’s hearts as they struggle past the sights of London to raise incredible amounts for charity, keeping going long after the elite runners have reached the end of the gruelling race on the Mall. The crowds are huge and it’s great fun to join in to cheer the runners on to the finish. Another event which is hugely popular is the annual Boat Race which first started in 1829 when men’s and women’s teams from Oxford and Cambridge compete along the Thames. April also sees St George’s Day, our patron saint in England, who we share with a surprising number of other countries, so head to Trafalgar Square for the celebrations. May The magnificent Chelsea Flower Show is the greatest flower show in the world and it gets us in the mood for gardening with all that fabulous colour and design. Let’s hope we get some London sunshine to bring out the best in the flowers. Don’t miss the very British Canal Cavalcade when scores of brightly decorated canal boats gather in Little Venice for two days of fun. June Our Queen has 2 birthdays, her real one in April and her official one in June when the royal event called Trooping the Colour marks this day. You can see the royals ride past if you get to The Mall well ahead of the start and don’t forget to take your flag to wave at them. The annual Pride event takes over the centre of London with parades, exuberance and lots of fun. Open Garden Squares Weekend is one of London’s great treats, when tons of private gardens open their doors for us to have a nose around. May. Returning to the London stage after its sell out first visit The Lehmann Trilogy comes to the Piccadilly Theatre starring Simon Russell Beale and Ben Miles in this review of the company’s role in the 2008 financial crisis. More big names coming to the West End as Starry Messenger at the Wyndham’s has the starry cast of Matthew Broderick (in his West End debut) and Elizabeth McGovern. The open air theatre in Regents Park kicks off their season with Thornton Wilder’s Our Town. The Bridge theatre has a coup with A German Life starring Maggie Smith in her first stage appearance in 12 years! June Yet more big names on our stage as John Malkovich stars in the world premiere of David Mamet’s Bitter Wheat at the Garrick looking at the #MeToo scandals in Hollywood. Following sell out shows and top reviews, the Pulitzer Prize winning Sweat moves from the small but perfect stage at the Donmar to the Geilgud for a limited run. Betrayal at the Harold Pinter Theatre, starring Tom Hiddleston, has been extended to June so more opportunity to see this top theatrical and movie actor. April Somerset House hosts the Sony World Photography Awards exhibition which has stunning images, capturing the world around us. Just opened at the Tate Britain but worth a mention here is Van Gogh and Britain at the Tate Britain, an exploration of how Van Gogh was influenced by his time in Britain, absorbing British culture and artists’ work, through 40 plus paintings and prints. Also at the Tate Britain in an unmissable show is Don McCullin’s 60 years of photography including many of his heart-breaking war photographs alongside those showing the awful poverty of East End London and industrial north of the UK. May The Saatchi Gallery hosts the UK’s first exhibition dedicated to the art of modern and contemporary drawing, called Draw, where works from 20th and 21st century will sit alongside related paintings, sculpture and videos. Continuing the Tate Britain’s great run, they have a first retrospective of Frank Bowling, exploring a 60 year career in London and the USA through his large scale paintings and bold experimentation. AI More Than Human at the Barbican Gallery brings us the latest in artificial intelligence in their interactive exhibition and by all accounts, the machines are catching us up! June The Tate Modern holds the first ever UK retrospective of Natalia Goncharova’s work, a leader of the Russian avant-garde she worked in Moscow and Paris on a wide range of output from huge religious painting to fashion house designs. The National Gallery brings us perhaps a lesser known master of the Spanish Renaissance Bartolome Bermejo in one of their free exhibitions which are small, focus on a few key paintings and are always a delight. Watch out for Art Night in Kings Cross and Walthamstow, a free contemporary arts festival with trails, special exhibitions inside and outside and screenings and music, which explores different areas of London each year. Masterpiece London is a major international art fair to be held in the Royal Hospital in Chelsea with art, antiques and jewellery from 150 top galleries – browse or buy it’s fun to walk around. The BP Portrait award opens at the National Portrait Gallery, an annual delight as is the Serpentine Pavilion outside the Serpentine Gallery in Hyde Park where this year Junya Ishigama brings us a grey slate design – can’t wait. It’s all happening in June this year as we must not forget to add the Royal Academy’s Summer Exhibition onto the list – another annual treat and the largest open entry exhibition in the world. Just squeezing one more in, Somerset House brings us Get Up, Stand Up Now – showcasing generations of black creative pioneers, definitely on my list. May The Old Truman Brewery on Brick Lane hosts the annual Graduate Fashion Week so check out what the latest trends will be and spot some up and coming names at the world’s largest showcase of graduate talent. The Fashion and Textile Museum hosts a show about Orla Kiely called A Life in Pattern looking at her innovative, influential and instantly recognisable stylized graphic patterns. June The Spirit of Summer Fair at Olympia exhibition centre has everything you never knew you needed for your home and garden and yourself. The Fashion and Textile Museum brings us Weavers of the Clouds: Textile Arts of Peru which promises vibrant colours and a look back at the history of these wonderful textiles through to present day designers and producers. April. Beasts of London at the Museum of London looks fun as it’s a fully interactive digital installation exploring the animals that have shaped London from lions to pigeons with well-known voice overs. The British Museum has a new exhibition about Edvard Munch called Love and Angst and they claim they will lift the veil on his life and is the largest UK exhibition of his prints for 45 years. Continuing their great fashion shows, the Victoria and Albert Museum brings us Mary Quant and her accessible fun fashion that changed our high streets, miniskirts and hot pants included. The Design Museum’s new exhibition is bound to be popular, looking at Stanley Kubrick’s total command of the creative process and the designs which mark out his films and his legacy as a great filmmaker. Catch the Kubrick season at the BFI to complete the experience. May Museums at Night is a great event held twice a year when a wide range of places have late openings and this one caught my eye – a talk on Anaesthetic Murders at the Anaesthesia Heritage Centre! The Victoria and Albert Museum’s new exhibition is entitled FOOD: Bigger than the Plate looks at our food from compost to table and explore current experiments in a participatory show which they have called ‘bold’! British Museum brings us all things Manga with the largest ever exhibition of this art outside of Japan. The Museum of London in the Docklands has a Secret Rivers exhibition tracing the paths of London’s many hidden and lost rivers, including the Westbourne which we think runs under my street! The Natural History Museum open Museum of the Moon, this free to visit artwork is a 6 metre model meticulously incorporating NASA photographs and arrives to celebrate the 60th anniversary of the Apollo 11 moon landing. June Fewer openings after April and May’s bumper months so time to catch up on the best of what is around such as Dior at the V&A (extended), the Wildlife Photographer of the Year at the Natural History Museum, Smoke and Mirrors: The Psychology of Magic at the Wellcome Collection and Mary Quant at the Fashion and Textiles Museum – as well as the V&A. April The Lucknow 49 in Mayfair brings us all things biryani, the 49 is a nod to its address at 49 Maddox Street. The White City development of Television Centre continues to attract top names as Endo Kazutoshi, former head chef at Zuma, opens Endo at Rotunda, a small high end sushi bar, named after the famous round centre of TV Centre which we called the Donut but rotunda does sound much posher! The team behind one of my long term favourites, the Wolseley, is opening Soutine in St John’s Wood and describes itself as an informal neighbourhood cafe-restaurant. Just around the corner is a 4th site for the vegetarian pioneers since 1989, The Gate. The Sea The Sea in Chelsea, from the co-founder and MD of Bonnie Gull will be a fishmonger by day and a seafood and champagne bar by night – sounds fun. May The Victoria and Albert Museum’s new exhibition is entitled FOOD: Bigger than the Plate looks at our food from compost to table and explore current experiments in a participatory show which they have called ‘bold’! Chik’n Soho are bringing proper fried chicken to Soho from the people behind Chick n Sours and as fans of Soho they are aiming to involve the community in their work. Barrafina are top at what they do and are certainly on the move with Coal Drops Yard being their latest home where they are adding Parrillan, offering table top grilling in an outside space which looks like a summer winner. Tayer + Elementary has the distinction of being from Alex Kratena, the man who won world’ best bar of the year at the Artesian four years in a row! It’s an all day bar and restaurant in Old Street with some interesting concepts such as many of the drinks being on draught! June. Taste London makes its annual takeover of Regents Park with a long list of top chefs and restaurants from Trishna to Brigadiers, Kyms and Lina Stores. They have demos, talks, stalls, and tastings as well as a chance to sample great London restaurants. Things are happening in Stratford with the ex Chiltern Firehouse head chef opening Allegra on the 7th floor of the new Manhattan Loft Gardens building where there will be a sky garden and great views. Also listed for spring 2019 is IT Ibiza bringing that Mediterranean island vibe to Mayfair in a former art gallery where it will keep some space for art work along with food, drinks and, of course, a DJ in a dining/socialising venue. April The London Marathon starts and ends in royal parks – Greenwich and St James’s – so join the fun and cheer on the runners. The 18th century Great Pagoda in Kew Gardens reopens and you will be able to climb 253 steps for a fabulous view over the world famous gardens and into London itself. .
May A new exhibition opens in Kensington Palace, exploring Victoria’s childhood and how she emerged from those restrictions to become Queen, in this 200th anniversary year of her birth. Richmond Park is a wonderful park and is home to a large herd of deer, in May you can take a guided walk to learn more about it. Chelsea Flower Show in the grounds of the Royal Hospital, is an major annual event where keen gardeners pile to view the show gardens and get inspiration for the gardening year ahead, planting ideas and see new plants and garden accessories. June Regent’s Park is home to the annual foodie extravangza that is Taste London. St James’s Park is where you will find at spot to see the Trooping of the Colour, which celebrate the Queen’s official birthday, and a week before the main event they hold the rehearsal which offers a great chance to catch the pomp and circumstance with a closer view – no royals tho’. Hampton Court hosts its Palace Music Festival hosting acts such as Kylie, Nile Rodgers and Tears for Fears. Open Garden Square Weekend is a brilliant London event when private gardens open up for the rest of us to nose around and other gardens put on special visitors events to encourage us to visit gardens and enjoy ones we might not visit normally. April The biggest event in April is the London marathon with over 40,000 runners and thousands more lining the streets throughout the course to cheer on the brave souls who battle on to raise millions for charities. The FA Cup semi-finals take place at Wembley and County Cricket is starting its season so we are hoping it’s warm enough! A new stadium is opening as Tottenham finally returning to their home with a brand new and by all reports, very impressive new stadium, so it’s goodbye to Wembley. The very British Boat Race takes place along the Thames – it’s a one off event and the men’s version has been in place since 1829 but luckily the women also race and make it a great afternoon along the river. May Cricket takes centre stage for the next couple of months as the World Cup comes to England with matches across the country and at the Oval and Lords in London. The final matches of the Premiership will see which London club makes it into the 4 Champions League places (hopefully Spurs) and we have 2 FA Cup finals at Wembley this month – women’s and men’s – which round off the English season as well as the Football League play-offs to determine who will enter the Premier League next season. The Diving World Series takes place in the London Aquatic Centre in the Olympic Park where our diving stars will show their skills ahead of the 2020 Olympics. June. June is when we all get mad about tennis as the season starts in London. Queens Club hosts the major warm up event on grass for men ahead of the main event, Wimbledon, which will be starting next month (it’s been moved a week later). Horse racing at Ascot is a great social event as well as a sporting moment for the crowds who hop on the train from London. Cricket continues as the World Cup has matches taking place on most days with 7 of them in London. The Rugby Union Premiership final takes place at Twickenham in a busy month for sport which also sees the Canoe Slalom World Cup Series in the Lea Valley Olympic course and baseball at the London Stadium between the Boston Red Sox and the New York Yankees in Europe’s first major league baseball game. April La Linea is a 10 day music festival of Latin music which takes place in venues across London. Now in its 19th year it showcases big names and emerging talent from the Latin music world. Bringing back memories of many years ago, the Gypsy Kings return to the Albert Hall which also hosts, in contrast, Rufus Wainwright and Joe Bonamassa and Handel’s Messiah on Good Friday. The 02 venues across London host these artists, among many others: Drake, UB40, Shawn Mendes, Jools Holland hits the floor at Ronnie Scotts. May. The festival season will be upon us, with All Points East at Victoria Park over 2 weekends headlining Hot Chip, Primal Scream, Christine and the Queens Dizzie Rascal, Kumasi Washington and so many more. 10CC perform at the Royal Albert Hall as does Eric Clapton in his tradition stay here and also Mariah Carey, Bryan Ferry, Tony Bennett, Gladys Knight, and the Beach Boys in a bumper month at the Hall. Check the 02 venues for: Take That, Ollie Murs, Rita Ora, Mark Knopfler, The Specials, The Jazz Café host the group Ozomatli which will make for a fun evening. Ronnie Scotts has the Buddy Rich Big Band on for a week, as well as Manhattan Transfer and Claire Martin. June. Camden Rocks is a chance to trawl around the pubs and clubs in Camden checking out the 400 bands in 20 venues, what a fun challenge! Field Day festival is decamping to Enfield this year and going indoors to fill 4 giant warehouses with Skepta, Jorja Smith, Deerhunter, Diplo and The Black Madonna and tons more. Hampton Court Music Festival offers a contrasting set of performers with Nile Rodgers, Tears for Fears, Busted and Kylie. The 02 Arena has: Michael Buble, Westlife, Backstreet Boys and Hugh Jackman. The Painted Hall has been undergoing extensive renovation for the last 2 years so I was really looking forward to seeing this amazing place when it was unveiled. They managed to keep the venue open to visitors during the work by offering tours on the enormous scaffolding erected to enable the painstaking cleaning and this gave visitors a once in a lifetime chance to see the ceiling really close up. I went on one of these tours and you can read about that here. The Hall opens to the public from 23rd March but I was given the chance to have a sneaky peek and help them test out the visitor experience. The Painted Hall is exactly what it says, a vast hall covered with the most extraordinary paintings dating from the early 1700s and is so impressive it is often called London’s Sistine Chapel. For me the most important piece of information to know about the Hall is that it was built as a dining room for sick and injured sailors who had been invalided out of the navy and were living as pensioners in the Royal Hospital for Seamen. When you see the place, you’ll assume it was built for the aristocracy or the royals or the very top men of the Admiralty. The opposite is true as Queen Mary established the hospital for the ordinary sailors, commissioned Sir Christopher Wren to design the site and then James Thornhill (more on him later) was asked to create painting to fill the dining hall. Sadly it did not remain the sailors’ dining room for too long for, as you would have predicted, it was deemed too lovely! The renovation took 2 years which is not surprising as there was 40,000 square feet of paintings to carefully clean and restore as well as extensive work redesigning the visitors area and opening up an underground tunnel. The wow factor as you enter is huge and it takes a while to absorb any of the details. Your senses are stunned by the sheer volume, scale and quality of the painting and that’s before realising that the columns are not made of stone are also painted – a fabulous trompe l’oeil effect. Martin Parr is one of our great British photographers with a career spanning over 40 years. So I was excited to be invited to the preview of his new show, Only Human, at the National Portrait Gallery, especially as I knew Martin would be there himself. It’s a brilliant display of his observations of Britishness in all its eccentricities and variety with particular reference to a country after Brexit referendum . I last saw his work at the wonderful ‘The Great British Seaside’ in Greenwich alongside David Hurn, Simon Roberts and Toby Ray-Jones – have a look at that show here. I was really looking forward to this solo show with new and previously unseen work. 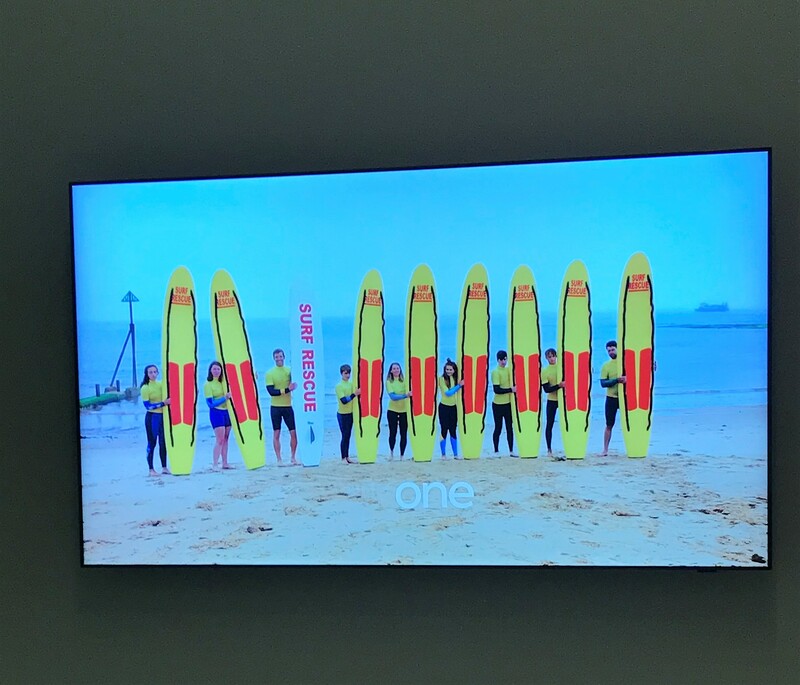 The exhibition is much larger than I had expected with rooms focusing on themes such as celebrity, dance, the beach, grand slam, the establishment British abroad, at the races and the BBC One idents. Martin was amused to tell us that he is now the most watched film maker in the UK due to these short films that pop up between programmes. He hopes to make more and interest groups around the country are writing in to request him to make a film made about them.